Italian director Francesco Rosi has died at the age of 92. Francesco Rosi was one of Italy’s most acclaimed and influential film-makers from the 1950s to the ’90s. He continued the Italian post-war neo-realist style, inspiring the likes of Francis Coppola and Martin Scorsese. Francesco Rosi’s features often examined corruption and criminality. His film Hands Over the City won the Golden Lion at the Venice Film Festival in 1963, while The Mattei Affair won the Palme d’Or in Cannes in 1972. 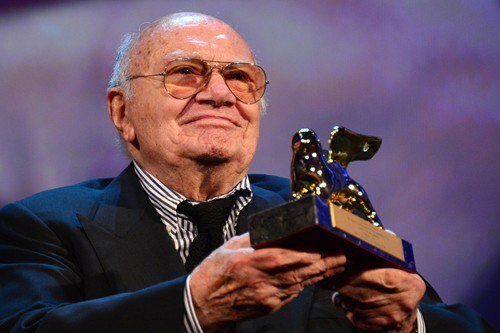 In 2012, Francesco Rosi was awarded an honorary Golden Lion for lifetime achievement for leaving “an indelible mark on the history of Italian film-making”. Franco Zeffirelli, a long-time friend, said Francesco Rosi’s death was “like experiencing a mutilation”. Some of Francesco Rosi’s best-known movies told the stories of real events and real people in order to highlight the links between politics, crime and working class society in Italy. Salvatore Giuliano, which won a Silver Bear at the Berlin Film Festival in 1962, depicted the famous 1940s Sicilian outlaw of the same name. The Mattei Affair used a mixture of dramatic scenes and real witnesses to examine the mysterious death of Italian businessman Enrico Mattei. The Mafia often featured prominently in the Naples-born director’s films. His other notable productions included a film version of the opera Carmen, starring Placido Domingo, which was nominated for the BAFTA Award for best foreign language film in 1986. Francesco Rosi’s last film was 1997’s The Truce, which was based on Holocaust survivor Primo Levi’s memoir and starred John Turturro.